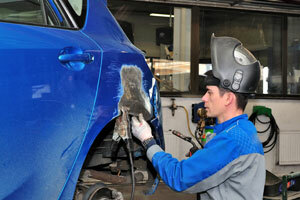 Our focus is on our commitment to providing exceptional auto body service at reasonable rates to our valued customers. We pride ourselves in our knowledge of auto body repair and collision repair to get your car back on the road. From small paint repairs to full frame straightening, our professional team of technicians will make sure your car is running in excellent condition for the years to come.